alaTest has collected and analyzed 509 reviews of Samsung BD-D5500. The average rating for this product is 3.6/5, compared to an average rating of 4.6/5 for other products in the same category for all reviews. Reviews about the design and price are overall positive. Some have doubts about the size and reliability. We analyzed user and expert ratings, product age and more factors. 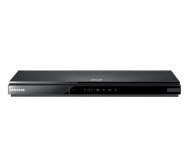 Compared to other products in the same category the Samsung BD-D5500 is awarded an overall alaScore™ of 85/100 = Very good quality. The Samsung BD-D5500 is a capable, full-featured Blu-ray player, but its slow startup time and only-so-so DVD upconversion skills hold it back. Solid Blu-ray playback. A wide selection of Web apps and streaming services. Slow to start up and load discs. Mediocre DVD-upconversion performance. No integrated Wi-Fi.